100mm dia optical crystal golf ball on onyx black base, a stylish golf award offered with Low-cost text and logo engraving along with low fixed cost UK delivery. These 100mm diameter optical crystal golf ball awards make stylish golf day prizes or golfing clubhouse awards as well as distinctive corporate golf gifts. 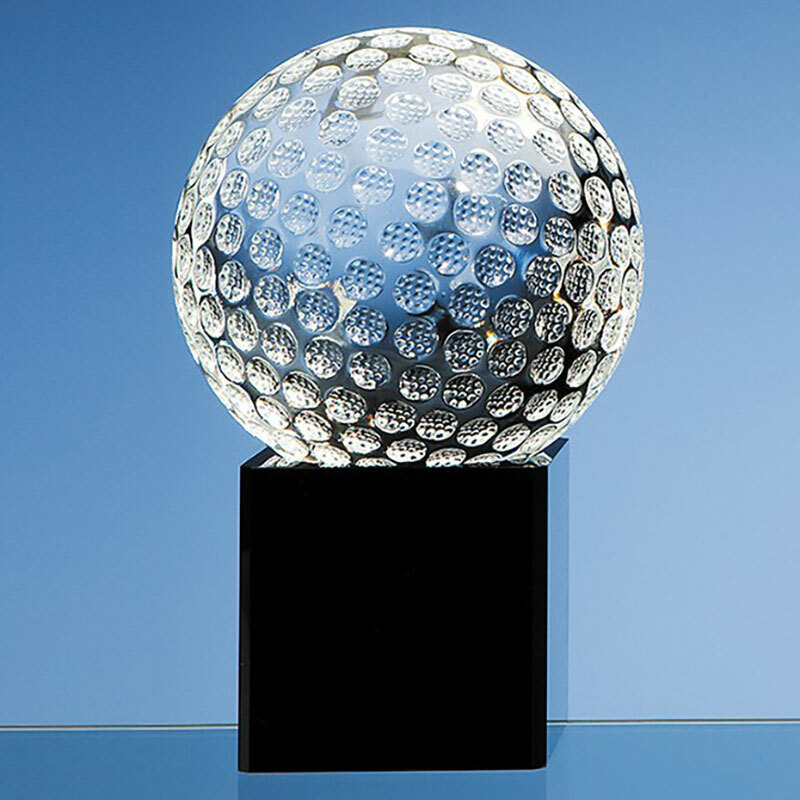 They feature a finely detailed crystal golf ball set on an onyx black rectangular base. The black base of these golf awards can be engraved and they are offered with low-cost engraving of both text and logos, allowing you to add a club crest, corporate or sponsor logo, event details and winner or achievement details. These golf ball awards are also ideal as golf Hole in One awards to commemorate that special shot.